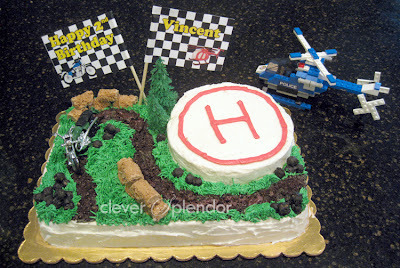 This adorable cake was for my cute nephew who has a love for motorcycles and helicopters. I know I cheated by buying a heli & motorcycle (& trees). 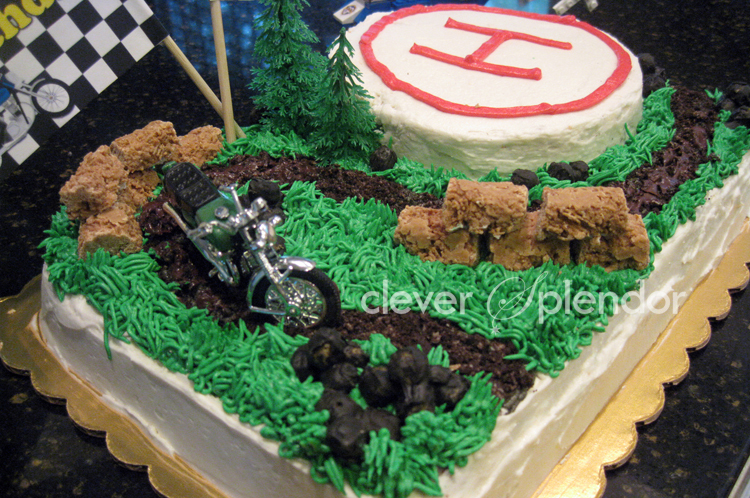 But I did not want to do fondant & the track looks awesome so it makes up for it. I was somewhat limited on time. The straw bales are shredded wheat + melted peanut butter chips, shaped into logs then cut once they set. These were quite the hit, everyone ate them up quickly! The rocks are a cereal (think Kix, but organic) and melted chocolate dyed black. They may resemble cannonnballs but hey, I worked with what I had. 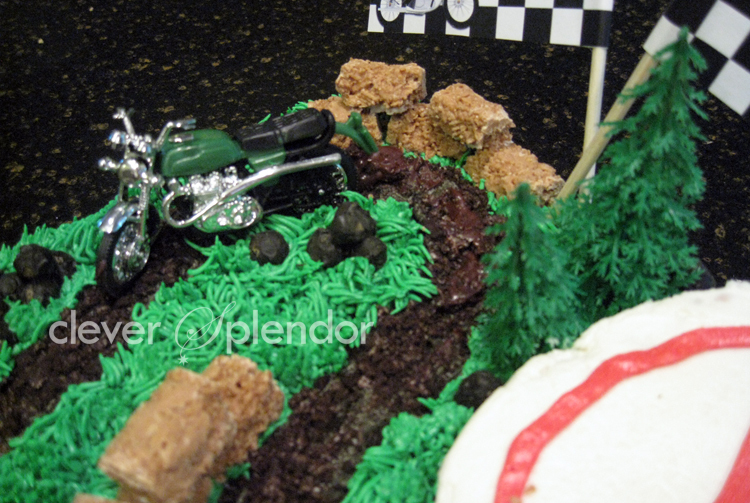 My dirt track is crushed Newman-Os and melted chocolate.